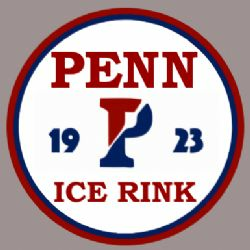 Penn Ice Rink at the Class of 1923 Arena has served the University of Pennsylvania and Greater Philadelphia communities for over 40 years. We host collegiate hockey events, as well as public skating, parties, and other fun and unique public activities. Delco School Hockey League. Elementary School Hockey League based in Aston, PA. The 2015 - 2016 season will run from October to mid-March. Most games will be on Sunday and Monday nights. A few games may be scheduled on Friday or Saturday evenings. All games will be played at IceWorks. Home of the Elementary MITE teams. IceWorks Quad Rinks of Aston opened its doors to the public in October of 1997. 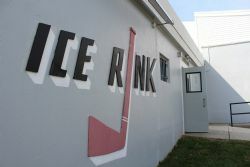 The building consisted of two ice surfaces, a full-service restaurant, full-service pro shop, arcade, and banquet/party rooms. bldg.jpg (11505 bytes) Since opening, IceWorks has been busy with games from local school teams, in-house teams, the Delco Phantoms and the Philadelphia Little Flyers and has expanded to 4 rinks. Link to the standings in the Delco Scholastic Hockey League for the Elementary Bulldogs. A detailed list of equipment needed to play ice hockey. 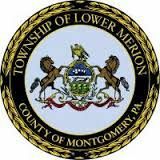 The Lower Merion School District (LMSD), located in Philadelphia's historic Main Line suburbs, serves the 62,000 residents of Lower Merion Township and the Borough of Narberth. 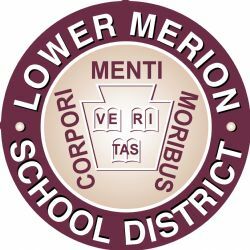 Established as one of Pennsylvania's first public school districts in 1834, LMSD enjoys a rich tradition of achievement, innovation and community partnership and a longstanding reputation as one of the finest school systems in the United States. Local hockey store for equipment, skates, and jerseys. Triple Rink located off Route 422 near the Greater Philadelphia Expo Center at Oaks. Springfield Ice Rink - Home of the Elementary WHITE and MAROON Bulldogs. 4:15pm - 6:30pm Saturday afternoon practices for Elementary WHITE and MAROON. The Elementary MITE teams practice and play at IceWorks in Aston. The Pond is open year-round and offers a variety of programs for recreational, figure and hockey skaters of all ages and abilities. The Pond offers comprehensive off and on-ice training facilities that includes dual ice rinks - one NHL and one Olympic sized.